Barnack Beauty - Apple Tree £15.75 - Dessert Apples - Late Season Apple Trees and Fruit Trees For Sale. Buy at competitive prices with wholesale discounts. 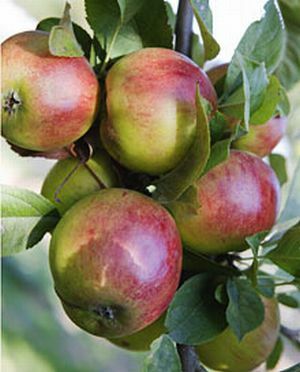 Barnack Beauty produces striking blossom and attractive red apples that are good for both dessert and culinary use. The apples are crisp and refreshing with a crunchy flesh. As a variety it can tolerate chalky soils and is a regular and heavy cropper. It was first raised about 1840 from the village of Barnack, Cambridgeshire and remains a popular East of England heritage variety. With its late blossom it also makes an excellent choice for growing in the North of England. We find this will keep through until well after Christmas.